For tours without guide - we sell the best maps, we give good recomendations and we have tour-descriptions for sale. 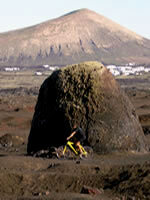 When many years ago the earth moved on Lanzarote and the island was formed by volcanic actions, a heaven for biker was created. 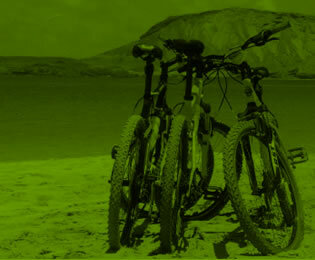 Let yourself be inspired by our Bike-Video (© bicyclemania). 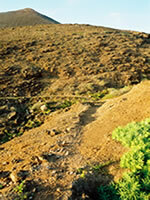 Costa Teguise is perfectly situated to explore all sites of the island. 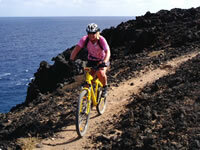 We are organizing tours&excursions - from easy going family-tour to descent MTB-tour - to the most beautiful places of the island. For groups we organize also individual designed packages like bikedays - give us a call on 0034 628 102177 or email us.